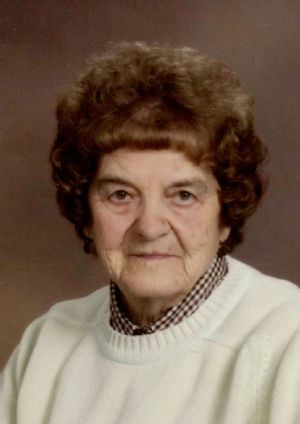 Marilyn Rae Schimmel, age 88, of Fairwater, WI, passed away on Saturday, September 29, 2018, at Crossroads Care Center in Fond du Lac, WI. Marilyn was born March 28, 1930, in Ripon, WI, the daughter of Herman and Jessie (Lambert) Merkey. She attended Longfellow Grade School and graduated from Ripon High School. In 1949, Marilyn married Glenn Schimmel in Ripon. She always thought of herself as one of the lucky ones to be able to be a stay at home mom and housewife. Marilyn also worked as a secretary for W.R. Grace & Co. for several years. She was a member of Grace Evangelical Lutheran Church in Ripon. Family was the most important thing to her. She was the best Mother, Grandmother and Great Grandmother. Marilyn wanted the family to remember all of the good times with her. Survivors include her son, Greg (Linda) Schimmel of Fond du Lac, WI; her daughter, Jayne (David) Moodie of Sun Prairie, WI; three grandchildren, Scott Schimmel of Fond du Lac, WI, Benjamin Moodie of Sun Prairie, WI and Laura Moodie of Waukesha, WI; two great-grandchildren, Samantha Schimmel of Appleton, WI and Hunter Moodie of Janesville, WI and special friends, Caroline and Ron Zimpher of Fairwater, WI. She is preceded in death by her parents, Herman and Jessie Merkey and husband, Glenn. Visitation for Marilyn will be held on Tuesday, October 2, 2018, from 10 � 11:00 am at Grace Evangelical Lutheran Church, 430 W. Griswold St., Ripon, WI 54971. Funeral Service for Marilyn will be held on Tuesday, October 2, 2018, at 11:00 am with Reverend Clay R. Salmela officiating. Interment will follow at Fairwater Cemetery in the Village of Fairwater. In lieu of flowers, memorials may be directed to Grace Evangelical Lutheran Church in Ripon.